Elvas is truly one of Portugal’s hidden gems, an historic and wonderfully preserved town situated on the arid plains of the Portuguese-Spanish border. Elvas is located in the far east of the country, and few tourists rarely consider visiting, but those who make the journey will be rewarded with a fascinating town rich in history and beauty. When viewed from the air the town walls of Elvas form a unique star shape, and hiding behind these complex defences is a delightful town that exudes Portuguese charm. There’s plenty to see and do in Elvas, but sightseeing can only be done at a leisurely pace, as like much of central Portugal the town basks under intense sun and heat. 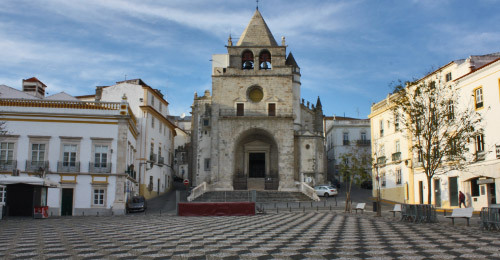 Nevertheless, it’s highly recommended that Elvas is included in any tour of the Alentejo region, and this guide will provide an introduction to the town. 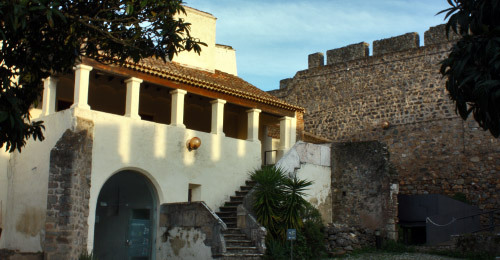 The beautifully restored Santa Luizia fort, which guarded the southern side of Elvas. Inside the fort there are concealed passages, stunning views from the battlements and a colourful history, all brought to life by the enthusiastic staff. 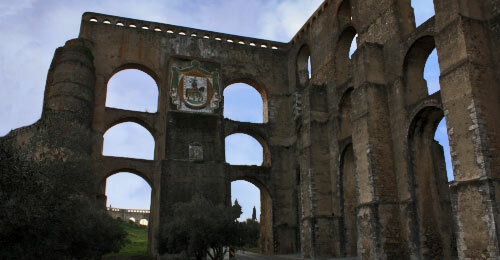 The magnificent aqueduct as it spans the final valley before reaching Elvas. The Praca da Republica the heart of the town and the setting for the ancient cathedral. 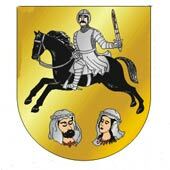 Why is Elvas so highly fortified? The rugged landscape of the Portuguese-Spanish border made the region surrounding Elvas the natural crossing point between the two countries. 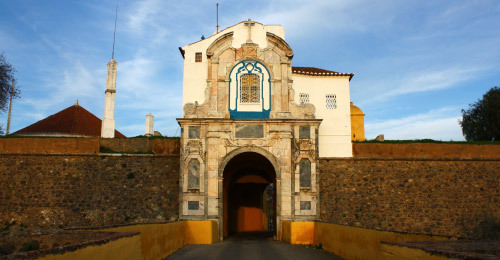 When King John declared Portugal independent from Spain in 1640, a massive defensive construction project was initiated to make Elvas the first line of defence against any Spanish invasion. The walls of the city were designed so that no side was left unprotected, resulting in the formation of a unique star arrangement comprising bastions, ravelins and hidden passages. Essential for outlasting a protracted siege was a reliable supply of clean water, and this was ensured by the large aqueduct to the south of the town. 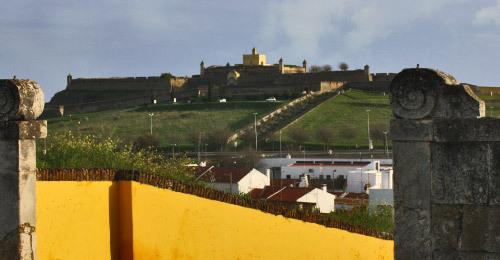 Later, the two hills overlooking Elvas were also transformed into mighty forts, thus preventing a staging ground to fire cannons. Although an incredibly expensive investment, the multi-directional defences of Elvas managed to fend off three separate Spanish sieges in 1658, 1711 and 1801, only falling in 1808 during the Napoleonic wars. 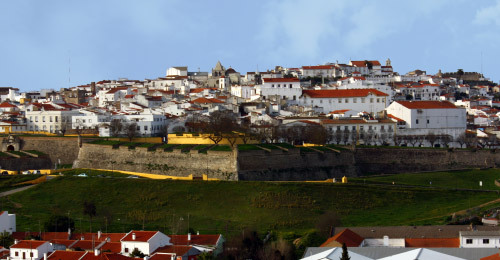 A scenic and picturesque town, Elvas has barely been altered since the era of grandiose forts and destructive cannons. 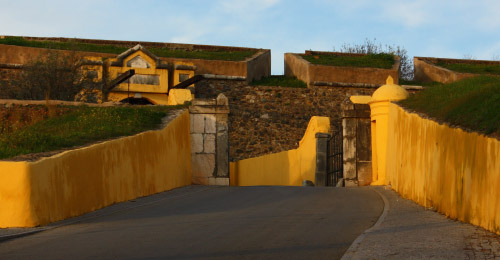 All of the town's defences have been lovingly restored and can be fully explored, including the two forts of Santa Luizia and Nossa Senhora da Graca. Inside the town you’ll find cobbled streets, ancient churches, white-washed roads, and small, family-run restaurants. 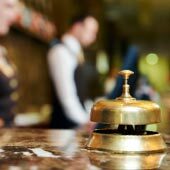 The lack of major tourist development means that hotels are small, personal and good value, while there’s a relaxed – if somewhat conservative – atmosphere about the town. Elvas’ rich and intriguing history has so much to offer the intrepid visitor, and is highly recommended as an inclusion on any tour of central Portugal. How long to spend in Elvas? 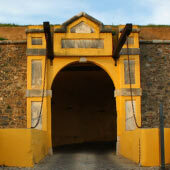 Elvas is a relatively small town and all of the major sights can be seen within one day of sightseeing. In one day it is possible visit the castle, the Ascension Church, the aqueduct, and fully explore the city walls and gates. 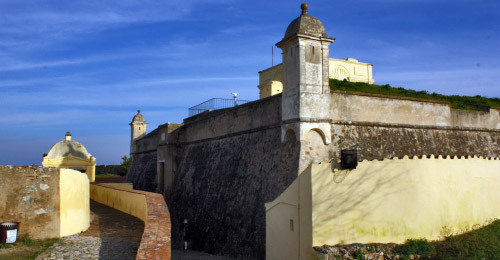 It would be also feasible to visit the Santa Luizia fort during this first day, as the fort is within walking distance of the town. A second day would be needed to visit the larger Nossa Senhora da Graca or to explore the town at a more leisurely pace, due to the summer heat, but by day three most tourists would be looking to move on to the next destination. Summers in Elvas are hot and dry, spring and autumn are both warm, and winters are mild. There is no main tourist season for Elvas, as the town experiences a steady flow of visitors throughout the year. The best time of the year to visit is in the early spring, with the flowers in bloom and the countryside lush and green from the winter rain. 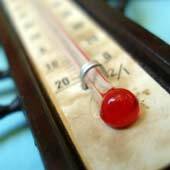 When the rest of Portugal is experiencing its major influx of summer tourists, the extreme heat in Elvas tends to deter most visitors, with temperatures often reaching north of 30ºC/86ºF. During the winter though, central Alentejo is Portugal’s driest region, and the place to head if there is rain along the western coastlines. Less than 15km from the Spanish border, Elvas is on the very eastern edge of the country. 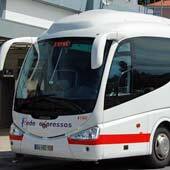 Although a remote region of Portugal, there are still regular bus services to both Lisbon and Evora, the largest town of the Alentejo region. 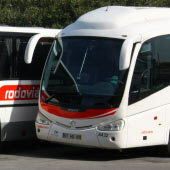 Portugal’s national bus company, Rede Expressos, uses clean, modern buses and travel in the country is safe and inexpensive. From the Sete Rios bus station in Lisbon the journey takes 3h15min, costing €17.50, while the 1h40min journey from Evora costs a little less at €12.00. 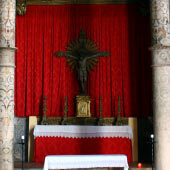 Both Elvas and Evora are interesting and historic Portuguese towns, which combine well as an extended tour from Lisbon. 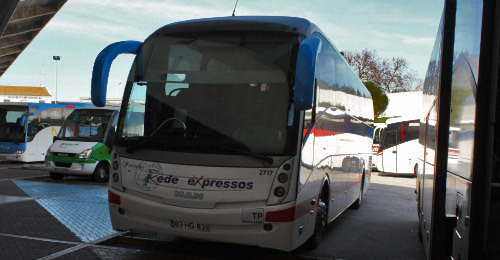 Surprisingly, there are no bus services that cross the border into the large Spanish town of Badajoz, and so this route can only be done with a rental car. 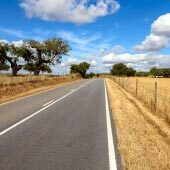 The main consideration for a visit to Elvas is the intense summer heat, as the temperatures can make all sightseeing virtually impossible during the middle of the day. If you do wish to visit during this time, plan to start your days early and always carry lots of water. It’s also worth noting that the pretty cobbled streets and hills can make the town difficult to explore for less mobile visitors.